Gerben Law Firm is pleased to announce that their 2018 Trademark Law Scholarship has been awarded to Kira-Khanh McCarthy. Kira is a second year law student at Notre Dame, where she serves as Vice President of Community Service for the Women’s Legal Forum. She is also a staff editor for the Journal of International and Comparative Law and a member of the Intellectual Property Society. 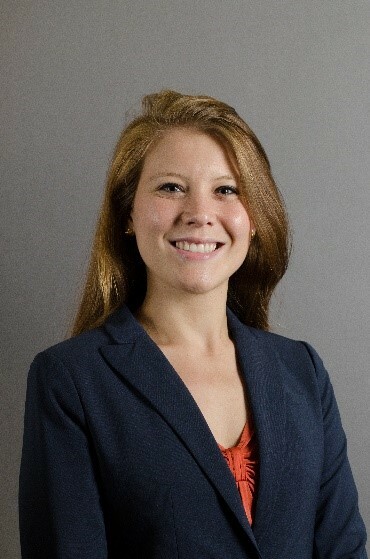 After receiving her degree in psychology, with a minor in statistics, from James Madison University, Kira had the pleasure of working at a law firm in the D.C. area, focused on patent prosecution and intellectual property. This experience, along with volunteer work at a local legal aid firm, led Kira to see pursuing a law degree as a logical next step. While she initially wanted to keep an open mind about which specialty to pursue, a trademark elective in her first year of law school piqued Kira’s interest. Kira has plans to work with a firm in Boston this summer, and upon graduation, she wishes to continue her work with a firm focused in intellectual property. “I want to break the stigma that you need a science background to specialize in intellectual property law,” says Kira. In the meantime, she hopes to work with faculty and students to build a strong trademark and intellectual property focus at Notre Dame. Gerben Law Firm was established by Josh Gerben in 2008 with the mission to assist businesses and individuals with trademark registration and protection. Since that time, we have successfully registered over 4,500 trademarks with clients across the country. Contact us to learn more about how we can assist you with your trademark needs.